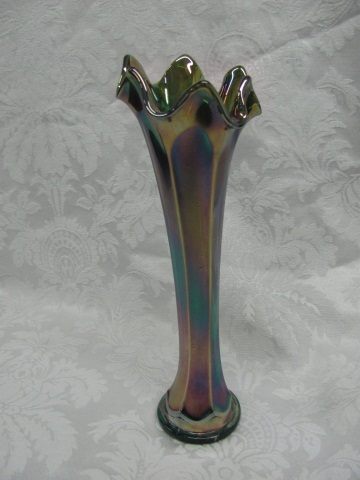 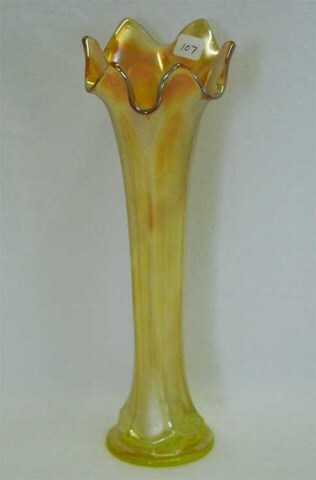 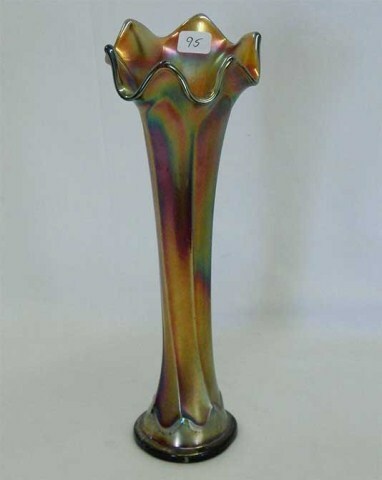 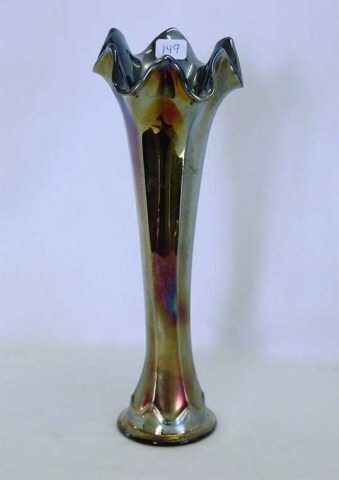 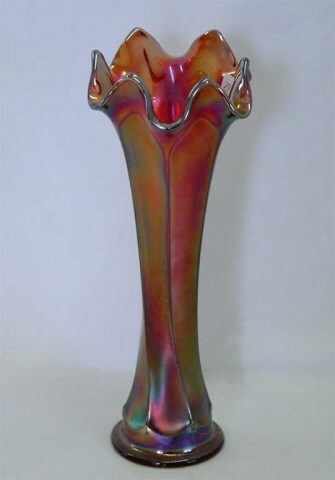 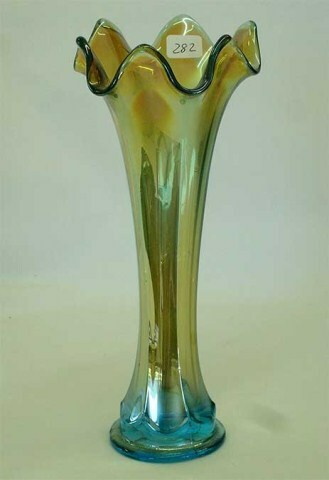 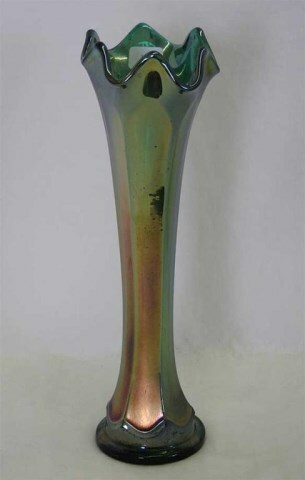 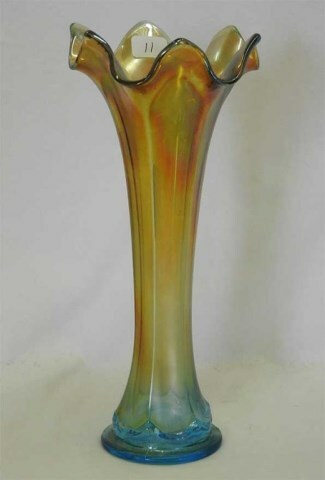 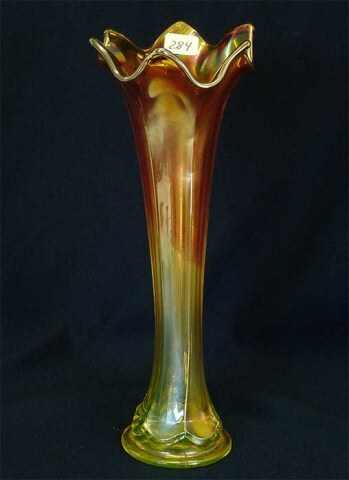 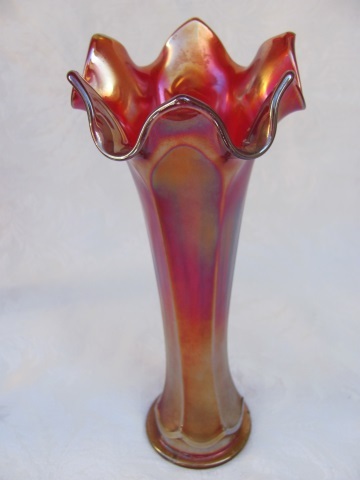 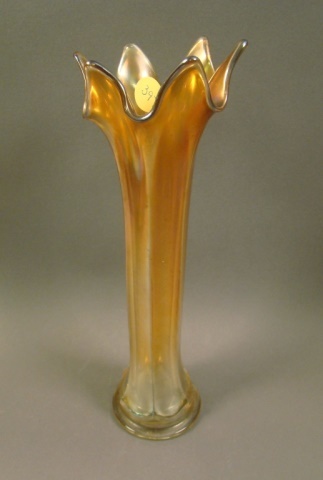 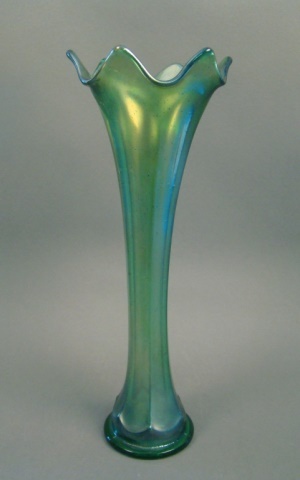 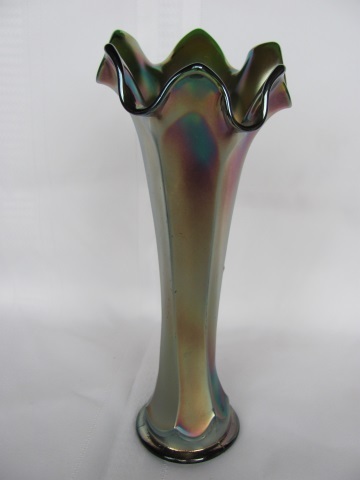 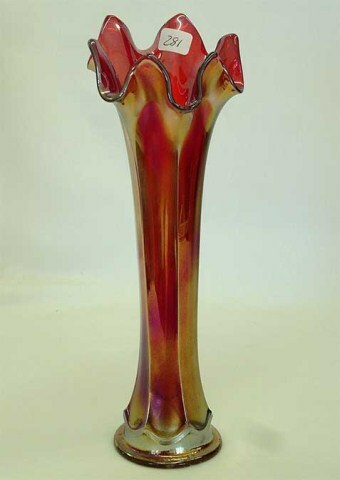 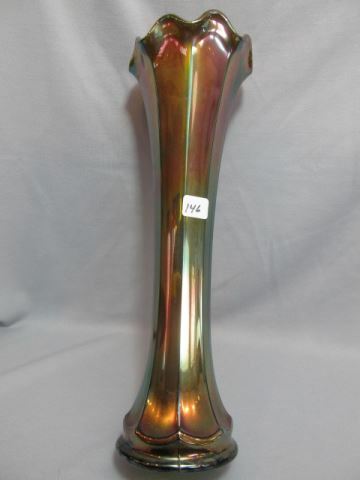 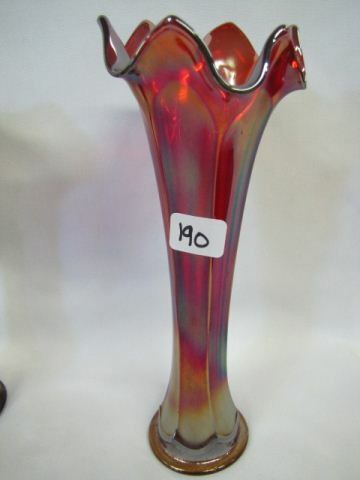 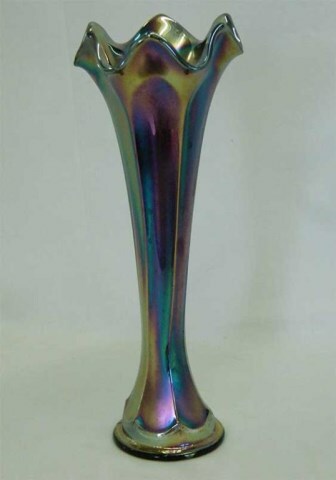 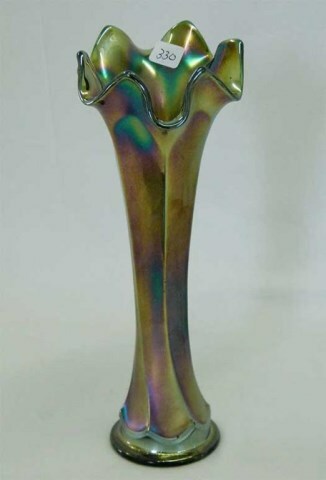 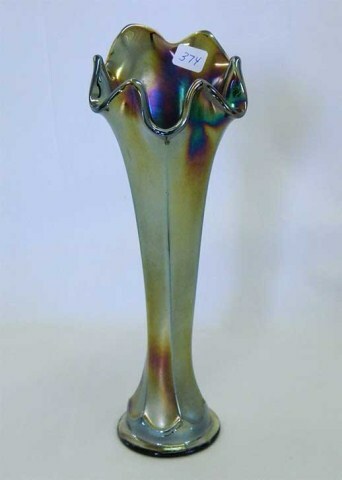 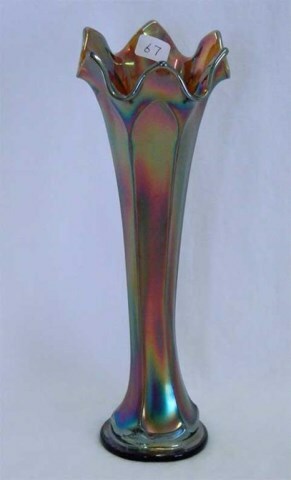 Fenton Flute can be distinguished from similar patterns by the plain band at the top and the scallop effect near the base. 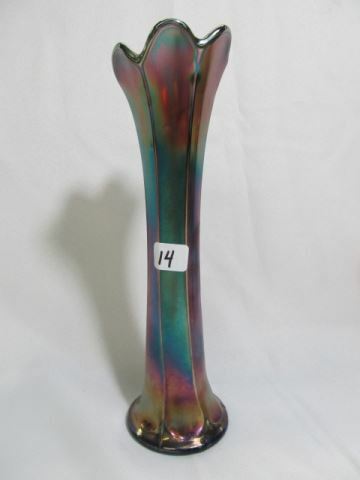 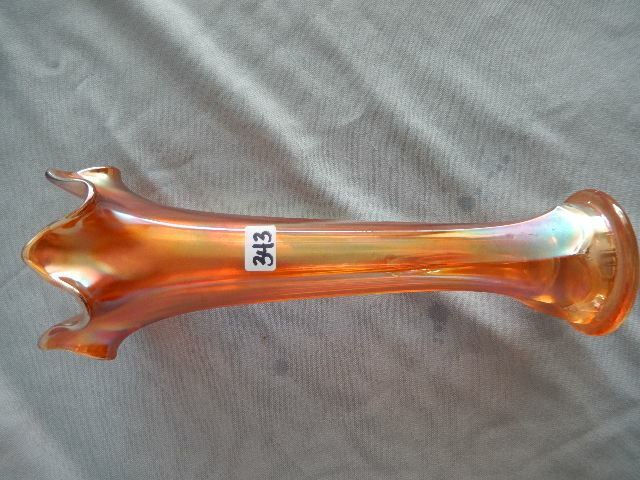 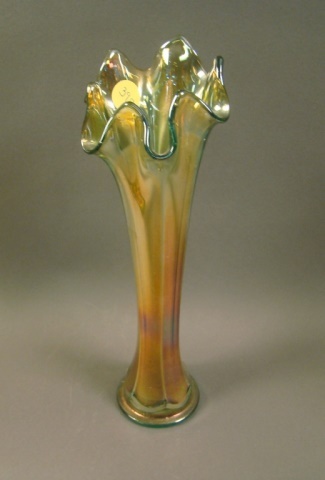 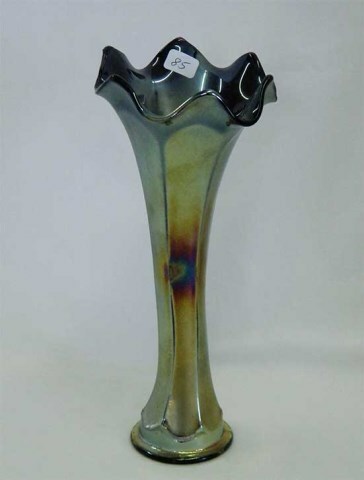 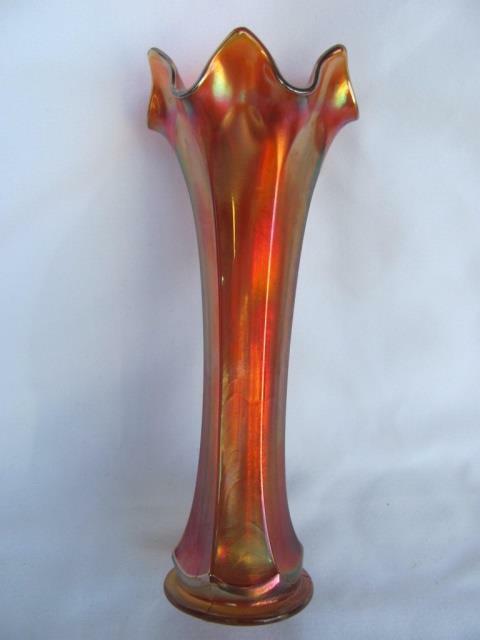 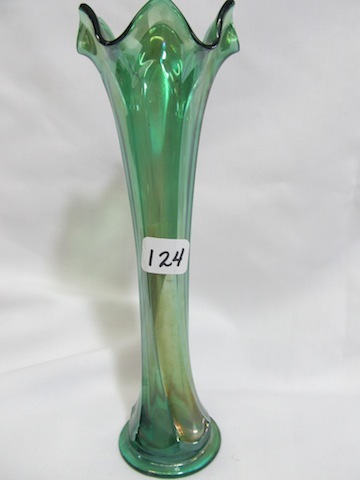 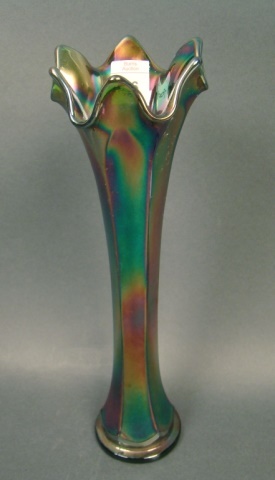 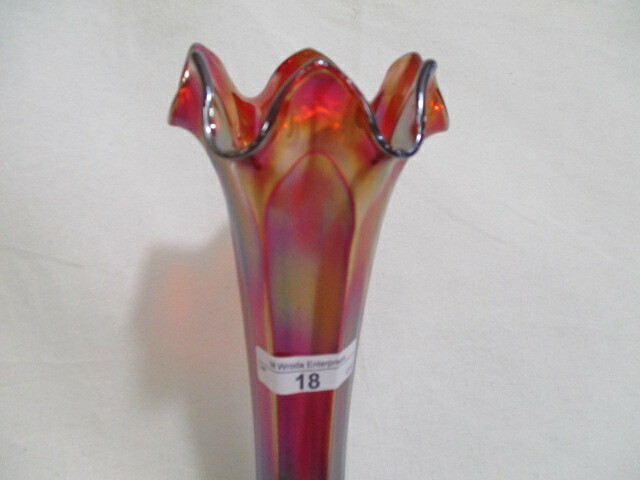 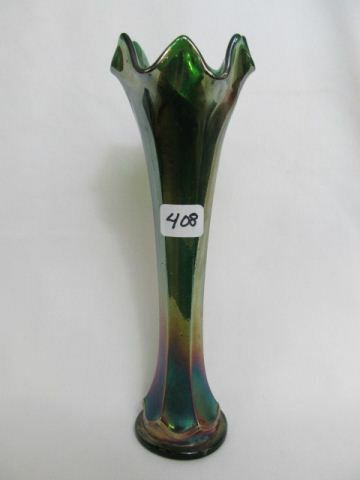 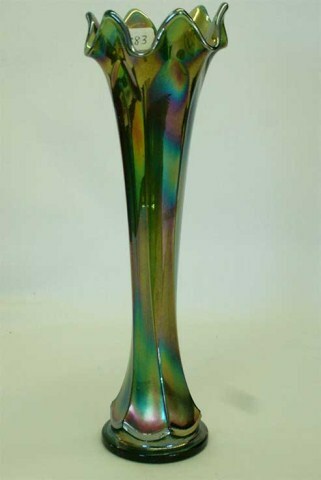 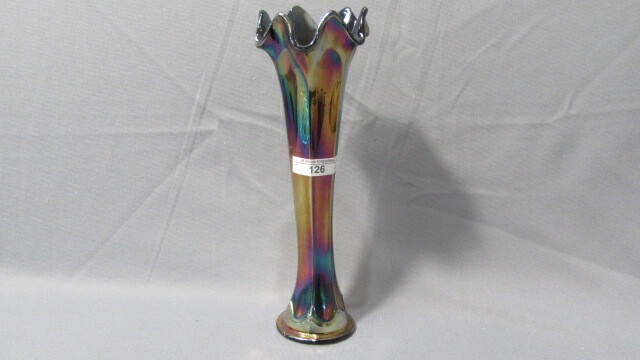 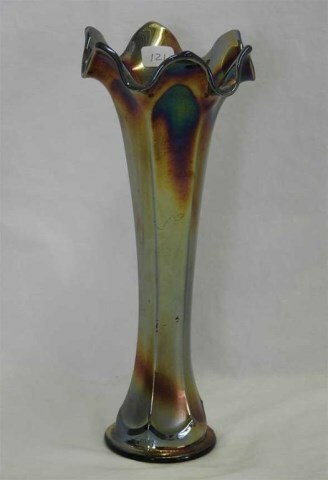 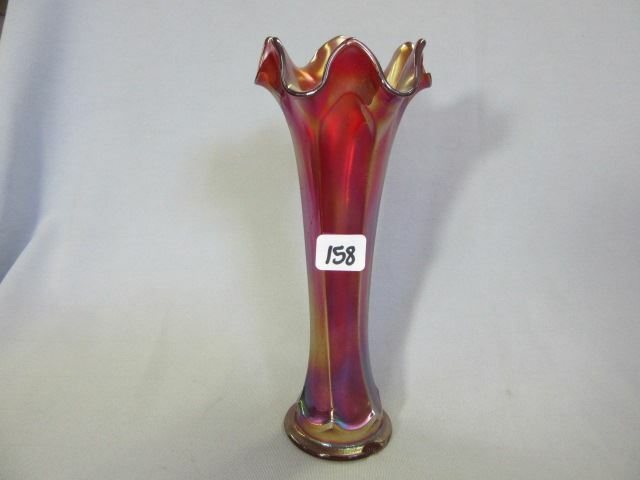 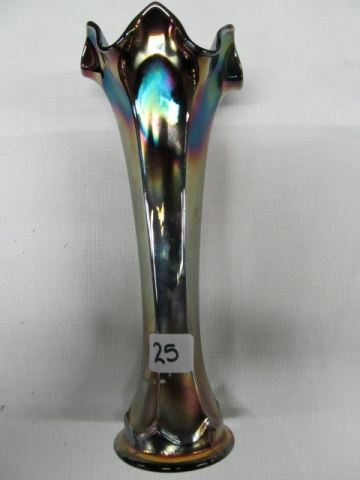 There are six flutes and one base size, 2 1/2 inches. 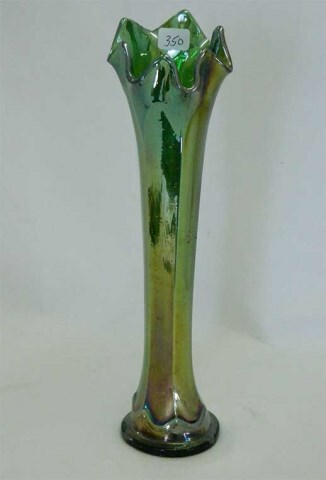 Heights vary only between about 8 and 10 inches. 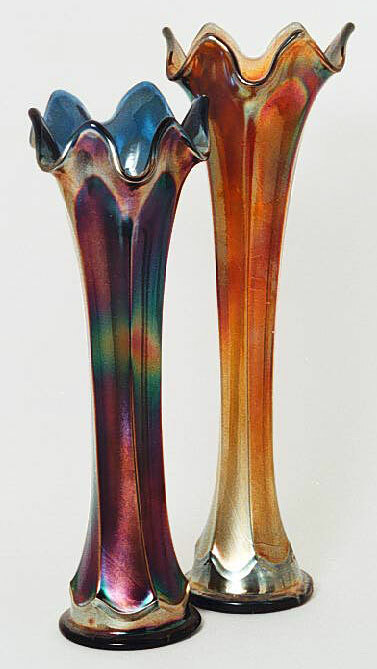 A scarce pattern found in marigold, cobalt, pale smokey blue, green, vaseline, amethyst, red, amber and one known in celeste.